On July 5th, the brave service men and women are invited to attend a special night at the ballpark.Whataburger will be donating 1,000 complimentary tickets and Whataburger coupons to all five active-duty military branches and veteran's groups to commemorate the night. HOUSTON -- The Astros and Whataburger are celebrating our nation's heroes in a big way this year for Military Appreciation Night. On July 5th, the brave service men and women are invited to attend a special night at the ballpark. Whataburger will be donating 1,000 complimentary tickets and Whataburger coupons to all five active-duty military branches and veteran’s groups to commemorate the night. The executive director of the Astros Foundation Twila Carter expressed how proud the foundation is to give back to the service members who keep our county safe. 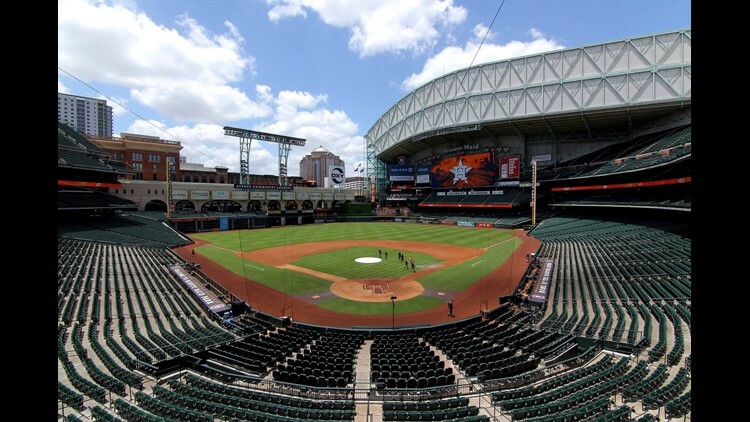 “Honoring our active-duty military and veterans is a central tenet of the Astros Foundation and we look forward to supporting that effort in new and exciting ways throughout the year,” said Carter. The night will kick off with a special re-enlistment ceremony on the field, featuring soldiers from Ft. Hood. Following the ceremony, active-duty military members will present the American Flag in the outfield. In addition, the US Army 13th Expeditionary Sustainment Command will present our nation’s colors and perform the National Anthem. Master Sgt. Jonathan Sullivan is set to throw out a ceremonial first pitch. Sullivan will receive free Whataburger for a year for his service and sacrifice.